I don't know about you all, but my Valentine's day is going to be very romantic. I'm going to Boston for the weekend with my friend Jill, so my night will consist of glorious 'Masshole' traffic, probably a headache and sweatpants will be worn shamelessly. Ok, so obviously not romantic, but I am extremely happy that my three day weekend falls on Valentine's day so I can get 50% off candy and celebrate having no school simultaneously. If you do happen to have a hot date tonight, I hope you have fun. If you're alone on this Hallmark holiday, no need to worry. Single people have more fun anyway! "Ah, yes, I'd like a dumb frappuccino and make it a grande please." 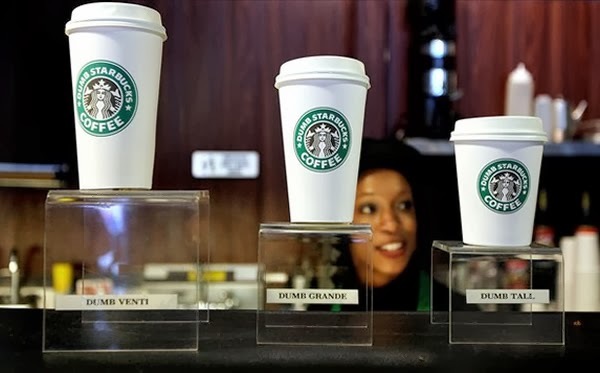 Comedy Central host Nathan Fielder opened up a coffee shop called Dumb Starbucks last Friday. In just a short 7 days the cafe held flocks of people, garnered insane amounts of media coverage and was shut down for not having a health permit. How dumb. What amazes many is that this sudden mock of Starbucks came literally out of nowhere and is getting away with ripping off the famous franchise's drinks, logo and even name. You can click here to watch Fiedler's explanation on why he can get away with ripping off the company. I found it pretty intriguing and while we can no longer visit the original location in Los Angeles, Fiedler is already planning to create another location in New York in the next few weeks. The picture above is of a statue not a middle aged man. Can you believe it? 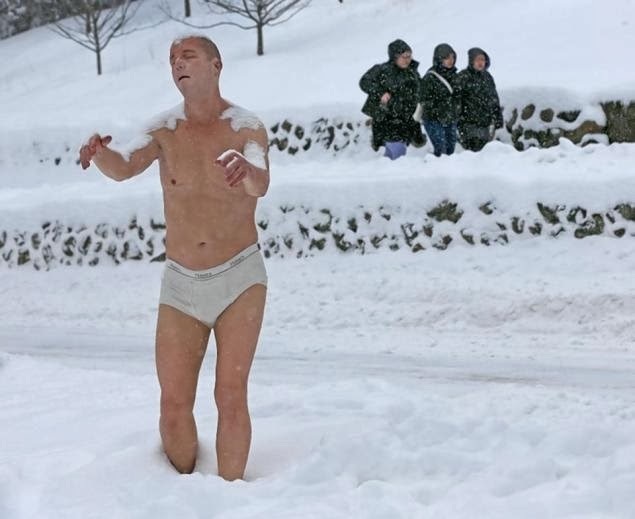 Artist Tony Mattell has an exhibit at Wellesley College and decided to place one of his pieces, Sleepwalker, in the middle of campus. Many students have voiced their concerns on the statue saying that it is inappropriate and should be removed. Mattell created the sculpture with the intention that viewers would feel empathetic towards the man. The piece personally creeps me out because it is so life like and I don't think it is the most appropriate thing to put in the middle of an all girls college. However, to each his own; art can be interpreted in any number of ways. What's your thought on this piece? 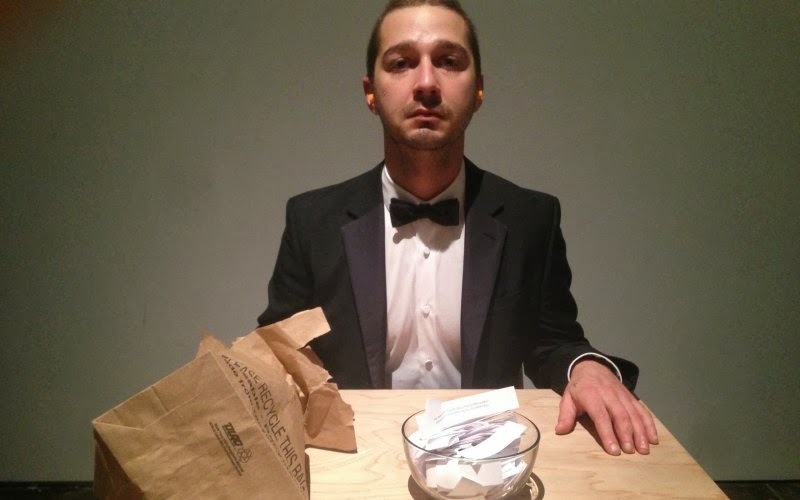 Since I'm talking about art, have you all heard about Shia LaBeouf lately? Last week he went to a movie premiere with a bag over his head that had the scrawling " I am not famous anymore", a phrase he repeatedly tweeted for weeks. It has now been discovered that the stunt is for an art project that is currently going on in LA. The Daily Beat reported on the art exhibit from beginning to end. I found it to be a chilling read and I'm interested to see what becomes of this. LaBeouf has had a pretty tough year; It seems like every child actor now becomes "insane" or falls to addiction and I hope this isn't his case. In the same night, I watched Even Stevens and it reminded me just how great LaBeouf used to be. 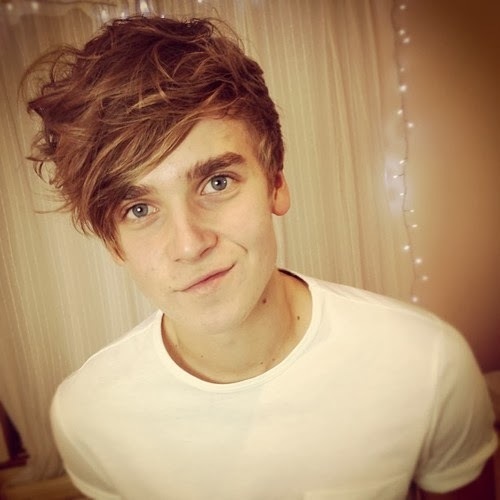 Meet Joe Sugg. Besides being extremely gorgeous and British, he is also a You Tuber. I love watching his videos because each week he talks about something completely different. One thing Sugg does do often though is impressions and with good reason. Last week, I watched this video and it just had to be shared. This week's random little links are indeed random and trust me, Achy Breaky Heart 2 should have never, ever happened. You have been warned.